Friendship really is magic! 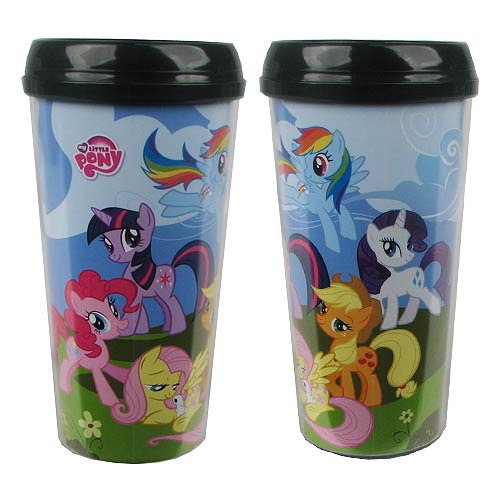 Take your favorite beverage on the go in your very own My Little Pony Friendship is Magic 16 oz. Plastic Travel Mug. It's made of plastic, holds 16 ounces of whatever it is that gets and keeps you going, and features frolicking fan-favorite Ponies all around the cup, like Rainbow Dash, Pinkie Pie, Twilight Sparkle, Apple Jack, and more. Hand wash only. Not dishwasher safe. Do not microwave. Ages 14 and up.